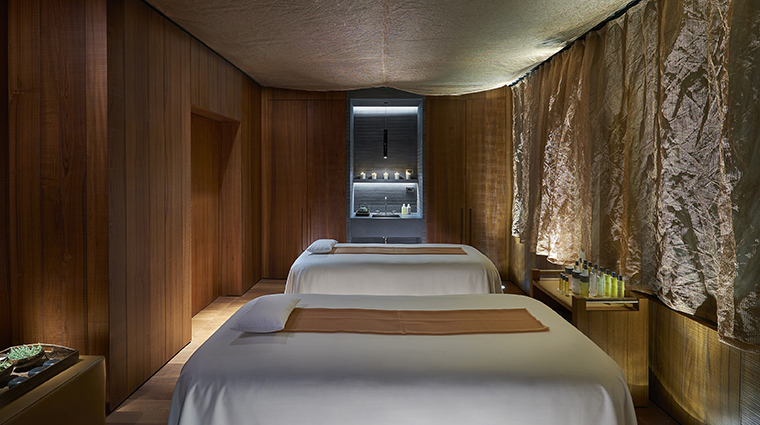 Under the wood-paneled walls and veined Italian marble of Mandarin Oriental, Milan the Forbes Travel Guide Four-Star spa of the hotel offers meticulous, holistic treatments guided by age-old Oriental philosophies. Italian architect and design team Antonio Citterio Patricia Viel and Partners were inspired by the five feng shui elements — wood, fire, earth, metal and water — and used natural materials such as variegated granite and wood floors. The result? 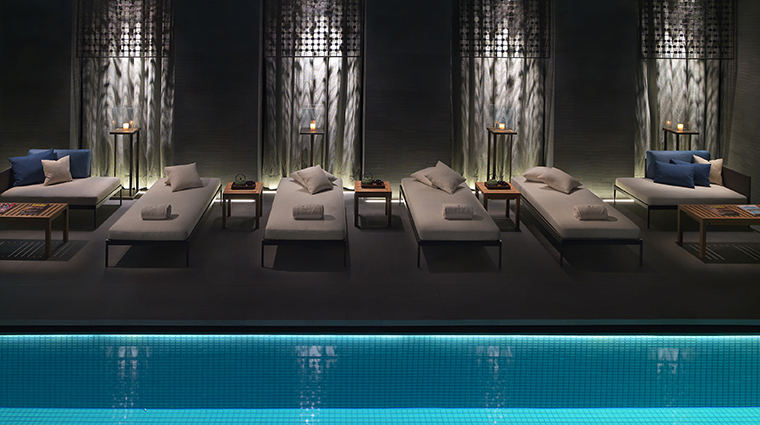 A tranquil, meditative setting that doesn’t skimp on luxurious touches. 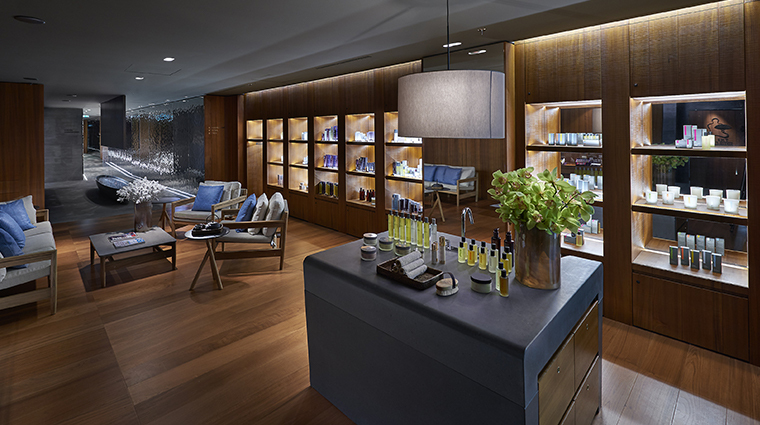 The Milan spa uses products from three luxury wellness brands, including the Mandarin Oriental Quintessence Aromatherapy collection, a signature line of natural oils in five different energies based on feng shui elements — awaken, bloom, flourish, release and reflect, and the world-renowned Natura Bissé skincare line. Exclusive to the Milan spa are treatments that source Italian-grown jasmine, thyme, orange and lunaria such as the Italian Romance soak, body exfoliation and massage and the Home Grown body scrub (to be added to an existing treatment). Lotions, fragrances and candles curated from wellness collections are available in the spa boutique, including the Pañpuri Thai Jasmine and Mint beauty amenities found in the hotel’s 104 guest rooms. In addition to the 24-hour gym, The Mandarin caters to those who prefer to go for a jog outside, too, with a morning-time station equipped with water and towels at the hotel entrance. The spa also utilizes organic ESPA products that source natural ingredients such as nutrient-rich argan oil, cleansing yucca extract and anti-aging summer snowflake bulb for innovative treatments. If you’re planning a group spa day, opt for a double suite. 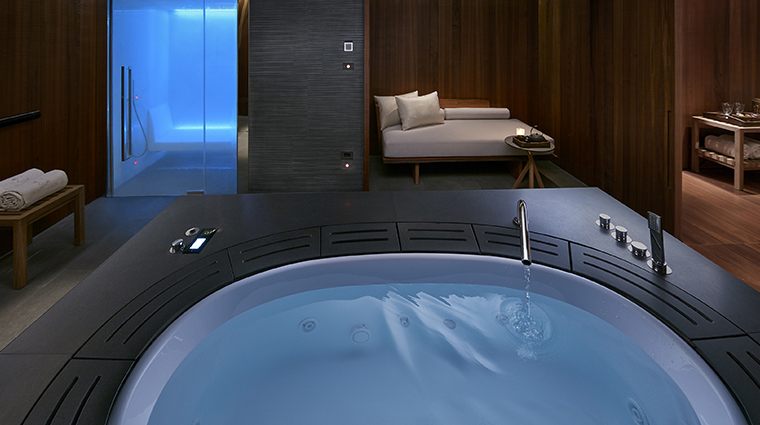 They include private showers, a relaxation area, changing rooms, a whirlpool and a steam room. Dedicated, bespoke sessions generally run from an hour and 20 to 50 minutes — therapists recommend longer appointments to maximize well-being, rejuvenation and deep relaxation tailored to your very specific needs. Personal trainers and yoga instructors are available for private sessions. An assortment of body massages use various techniques such as deep tissue, Native American stone therapy, holistic aromatherapy, Thai-style stretching and detoxifying lymphatic drainage. The Mandarin Oriental Signature Spa Therapy, a personalized body massage ritual, involves a therapist mixing Quintessence Aromatherapy oils based on a guest questionnaire that determines unbalanced feng shui elements derived from yin and yang philosophies. Another popular experience is the Oriental Tranquility, which begins with a relaxing soak in a dimly lit spa suite’s whirlpool and is followed by a restorative, four-hand massage by two therapists and a calming facial treatment. The poetic Opera of the Soul includes natural pumice and olive oil exfoliation, body massage with calcite palm stones, and a reflexology facial to open the throat chakra. 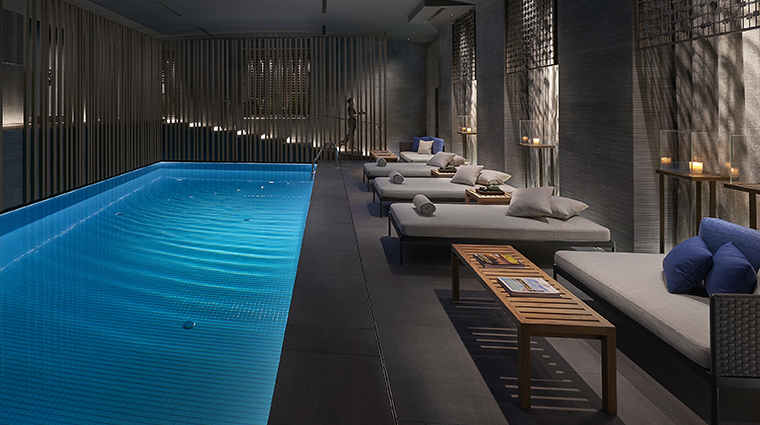 The 9,688-square-foot spa features an indoor heated pool decked in timeless turquoise tiles, a sauna, a steam room, a relaxation area and ample changing rooms. Six private treatment rooms include two couples' suites — they can be combined into a large private VIP suite — and a dedicated Thai massage room. The luxury spa's 24-hour fitness center, with wall-length mirrors and hardwood floors, offers Technogym cardiovascular and weight training equipment. There’s also a mani-pedi studio and a hair salon headed by celebrity stylist Massimo Serini.